This skinnyish, reddish-haired, slightly wacky Brit is totally obsessed with 'Nipping and Tucking' - fabric manipulation and surface texture. Unique in her field, she's now internationally known for her quick, simple, innovative and original techniques with manipulated material and her hilarious lectures with real ‘Strip, Show and Tell’. Jennie teaches a wide variety of classes for all levels and abilities of sewers from patchworkers, quilters and embroiderers to fashion, soft furnishing and home décor enthusiasts. Indeed, anyone interested in any form of needlework will be totally captivated by her deviously ingenious textural designs and can benefit from the wealth of creative ideas arising from her magic manipulations. Although, much of her work is created in simple calico known as muslin in the USA, her elegant ideas and natty notions may be adapted for any type of fabric and used to make quilts, wallhangings, boxes, baskets, cushions, table linen and of course fashion garments and accessories. With nine books on fabric manipulation techniques and otehr intrguing things to do with fabric - many of these titles still in print and with zillions of articles and a variety of patterns, Jennie’s material magic goes on and on. Nowadays, her work is exhibited in various galleries, at shows and exhibitions around the world. 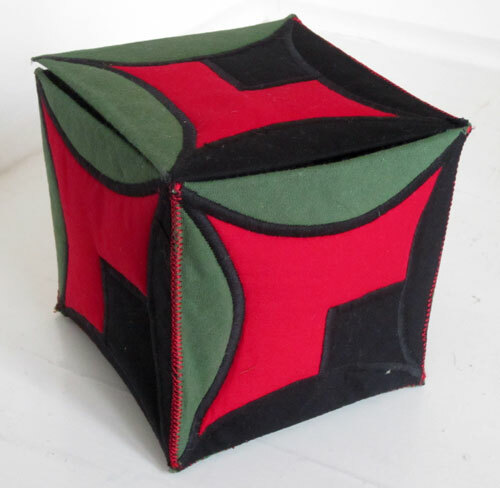 Most of her time is spent zapping round the world persuading people to 'Nip, Tuck, Twiddle and Fiddle' as well as manipulate and manoeuvre bits of fabric shapes into fascinating and innovative designs and patterns. In between she makes quilts, garments and all manner of other tucked up treasures. 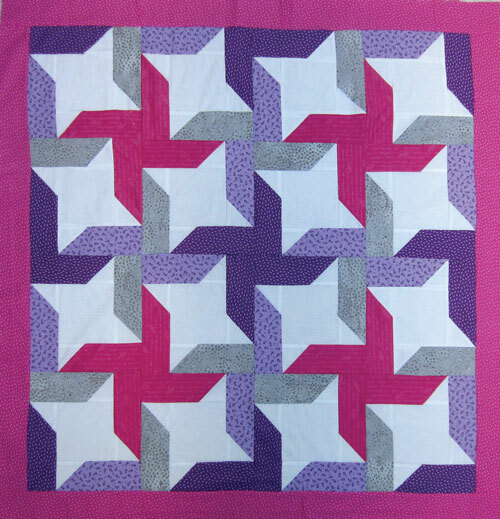 Jennie also can be found on #23 Freeview Create and Craft where you can watch her Quilting Classroom and other shows. Scroll down to learn how it all began………………………. 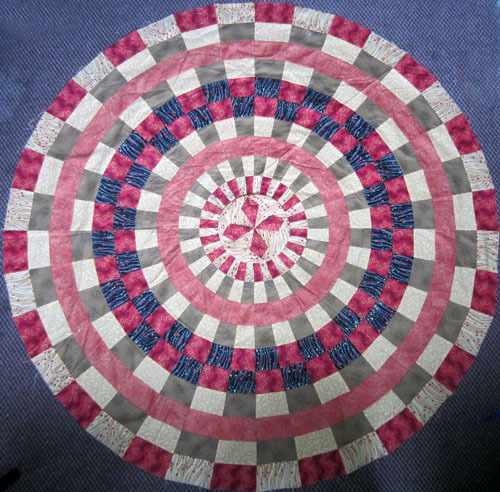 Way back in 1989 after several different career moves from managing hotels, inns and restaurants to running a village general store and Post Office, Jennie saw her first piece of patchwork and made her first quilt. Having never sewn other than family mending and household repairs, it was a steep learning curve! Over the next few years, Jennie explored and experimented and by 1994, she was firmly hooked on all forms of patchwork and quilting. In this period she completed a teaching diploma and became involved with the City & Guilds (an educationalorganisation). 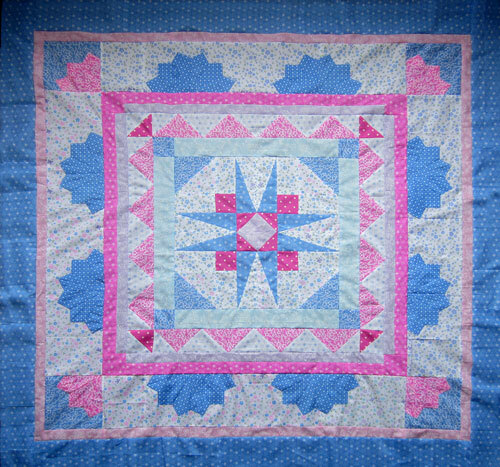 She taught the Creative Studies course in Patchwork, Quilting and Appliqué to several groups in the South of England. Within the syllabus one of the required subjects was texture. As there was very little information available on this topic, Jennie created her own designs and techniques thus sewing the seeds for a new career. But for more information and for the full and unexpurgated story, listen to Jennie’s lecture ‘Texture by Design’. Just a quick question - why is Jennie known as the Muslin Mistress? Simple – many of her creations are made in calico and in Britain, she is called the Calico Queen but in the US calico is called muslin so she became the Muslin Mistress over there.